I will confess—nay, glory in—the fact that I nearly always read my own work aloud at some point. It’s the surest method I know to discover clumsy sentences and faulty rhythms, especially after one has stared at the black marks on the screen so long they’ve begun to make sense. However however, I am well aware freak-mutants exist who adore the things. I expect they aren’t even the strangest monsters inhabiting this globe of ours. 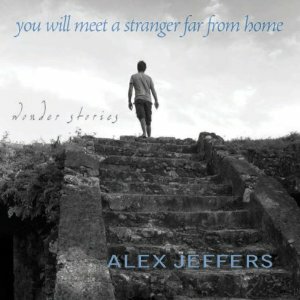 For those mutant freaks, then, this note: Lethe Press and Audible.com have released an audiobook of my collection of wonder stories You Will Meet a Stranger Far from Home narrated by one Simon Ralph. Happened about a week and a half ago. I’m told, indeed, it’s Lethe’s audio bestseller for March.